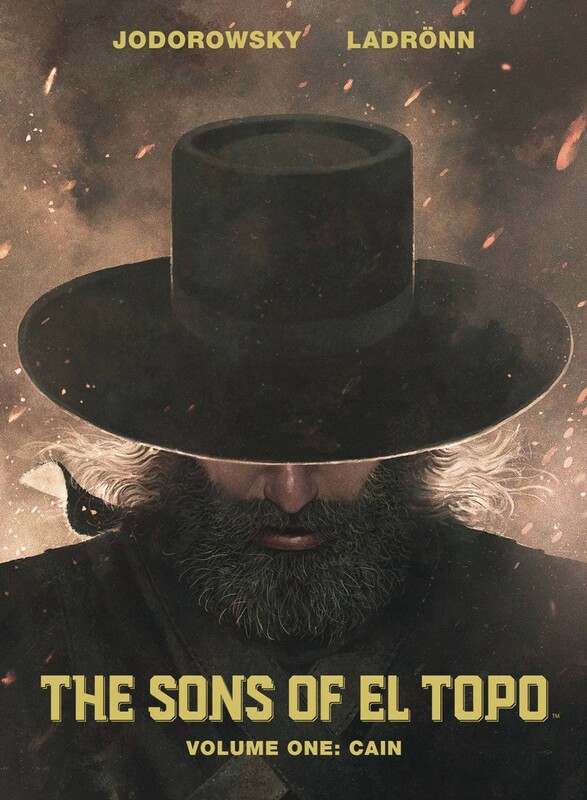 Legendary filmmaker Alejandro Jodorowsky (The Incal, Metabarons) and virtuosic illustrator Jose Ladronn (Cable, Incredible Hulk) deliver a sequel to Jodorowsky’s cult classic film, El Topo. El Topo was once a bandit without limits, a man with no moral compass, until his journey through the desert brought him to religion and enlightenment. As he became a holy vessel imbued with the power to perform miracles, he left behind his first born son Cain, and brought forth the birth of Abel. Fueled by resentment, and unable to kill his saintly father, Cain begins the slow pursuit of his half brother in a tale of magic and mayhem.